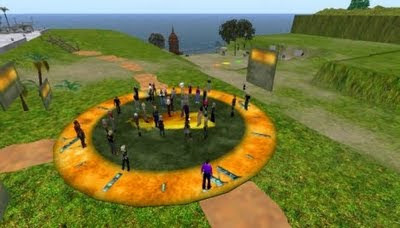 I had the life scared out of me last Friday morning in Second Life and as a result have learned a few painful lessons about presenting in Second Life. A few weeks ago I was approached by the Gronstedt 'Train for Success Group, one of the biggest education and research groups in Second Life...except at the time I didn't know that. They asked if I could give a presentation about the virtual birthing unit and show them around. I said 'yes' and didn't think much more about it. I am so used to planning virtual events and no-one turning up that I didn't put any thought into how I was going to manage the presentation and tour. The irony is that I am currently teaching students how to facilitate online and yet I didn't take my own advice. I under estimated the number of people that would attend and the effect it would have on the technology of Second Life, and I didn't consider the practicalities of showing 40-50 people around the birth unit by myself. Luckily for me, I managed to secure the services of John Waugh who is one of the SLENZ team to help me out. In the end things didn't turn out to badly, although they could have been a lot better if I'd been more organized. I am not sure how many people turned up but it must have been over 35 people. The technology held up well, but I have to acknowledge that it is a challenge showing more than 10 people around because of time lag and keeping people together. What did I learn about presenting in Second Life? Giving a presentation in SL is no different from any where else...you have to be well prepared. The main lesson for me is that I need a lot more helpers in SL than I would need in another web conferencing environment. This means I have to be a lot more organized...give my helpers plenty of notice and make sure at least one of my helpers is very skilled at sorting out problems in SL. It's also a good idea to have a notecard to hand to people, like a business card, with the contact details of everyone involved in the birthing unit project. 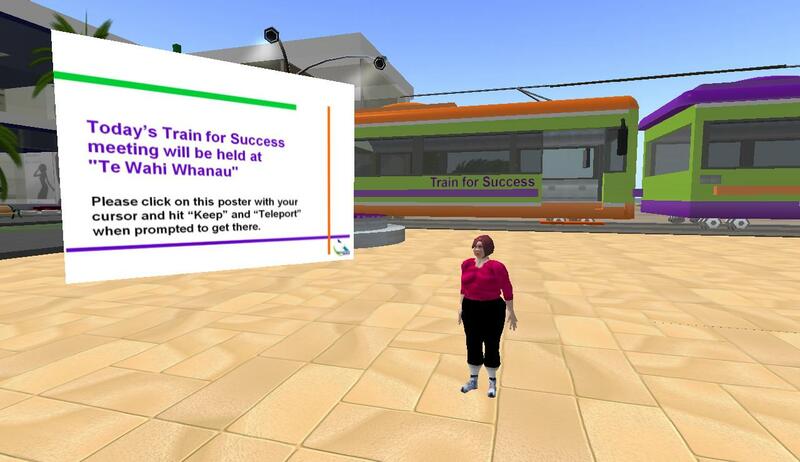 What tips would you give people about presenting online, especially in Second Life? PS: Keep an eye on the Gronstedt website because a recording of the presentation and tour will be available in a few days. I believe you must have a great experience. Since you were presenting the content, I guess you would have appreciated having someone facilitating the event as you mention: "The main lesson for me is that I need a lot more helpers in SL than I would need in another web conferencing environment." Virtual Birthing presentation must have been pretty interesting though. Thanks Krishan and Infomidwife...my motto in life...you live and learn! It's a good idea to have a Notecard with all the basic facts - thank you for the tip! The idea for the notecard came from John Waugh, Marja. What is the slurl for your place in SL? Have a notecard giving object set up in a place or two and simply refer folks to it. The notecard should have info about the sim, in/out-world contact info, URL of this blog, and TP. Figure it may be shared by others later, so write it as such. Presenting in Voice rather than Text has it's pros and cons. If you do voice, you may want to have someone live transcribe your speech, or have a notecard with your presentation. Having the event available later as saved chat, or recording, can be of value as well. Slurl to our area is (http://slurl.com/secondlife/EduFinland%20III/66/66/24). The larger area is EduFinland. That is s place where all the Finnish educators can build their own place. Our Faculty of Medicine has only a small spot, but it's a good place for us to practice building etc. You are more than welcome to visit us!